YES, there may be many things we have no control over… but we do control how we react to those things, how we process those things, and how we choose to grasp lessons from those things. 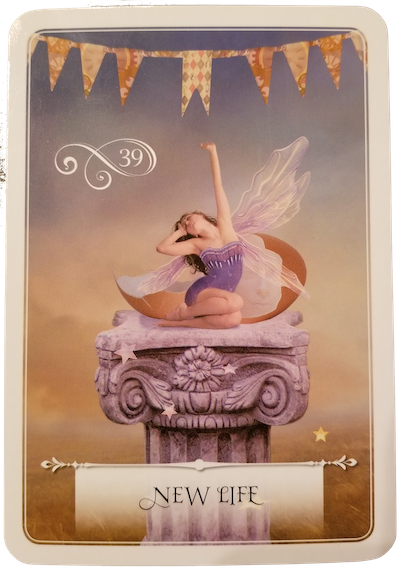 As you see fate stringing together the events, experiences and lessons of your life in the stars, see also YOU as your own dream weaver. You have the power to co-create your existence and now is your time to release what you have no control over while also manifesting your desires with intention! Now is not the time to be discouraged. The path to your dreams requires you ride the currents that ebb and flow between joy and disappointment. Any bump you are experiencing is only a bump, a tiny blip on the grand universal plan that is your life. These bumps, though inconvenient, may be providing you a lesson or small diversion. A moment to catch your breath or maybe reevaluate a situation. You are on the right path; you can see the finish line and have the skills and stamina to go the distance. Do not give up now, some paths are longer than others and everything is occurring in perfect divine timing. It is Monday… Wake up… stretch… shake off those cobwebs. There is a LIFE to live! This is tidings of a new start - a new life, or a REBOOT to realize what you have now and be present to it. Life is for living, not just existing. You have spent too long sleepwalking through your days. Can you sense the ideas and creativity in the air? Opportunities are abound and bring you hope of dreams coming true. You have all the wisdom and energy you need for this new project, relationship, cycle of your life. It is all within you, you need only let go and dive in. When you leave the symphony unfinished you run the risk of the record player skipping over and over and over. You will be unable to move forward in the musical flow of your life. Whether you need to make amends or just BE for a moment and feel ALL of the emotions, it is an important step. Accept where you are and that it is OK to feel whatever it is you feel right now. It does not mean you need to DO anything, but you must acknowledge the emotions and release them or they will form little blockages in your heart. Let the tears, whispers, screams and music flow until the fat lady sings. Let’s finish this thing! All that glitters is gold… or is it? Whether it is that expensive item on holiday sale or that new holiday crush, you are being asked to really look at it. Not everything is as it appears to be right now. As you get swept up in the holiday magic, take time to consider what is really important. 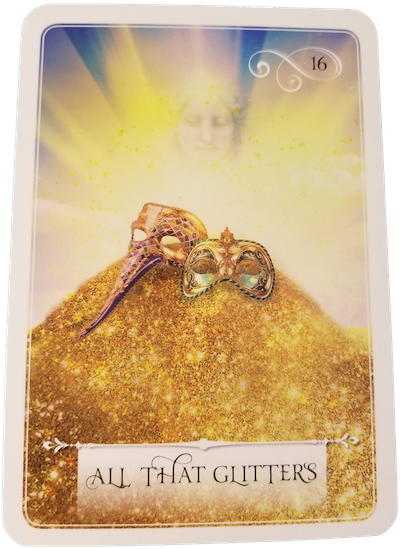 Is the item, person, or situation something you really NEED right now or will it only be a temporary shiny thing to give comfort in the New Year, and not really be what you expected or wanted? Do not settle for shiny bobbles when you deserve the diamond buried deep in a sometimes rough, hard rock. Enjoy the simple things and cherish the memories of the season.